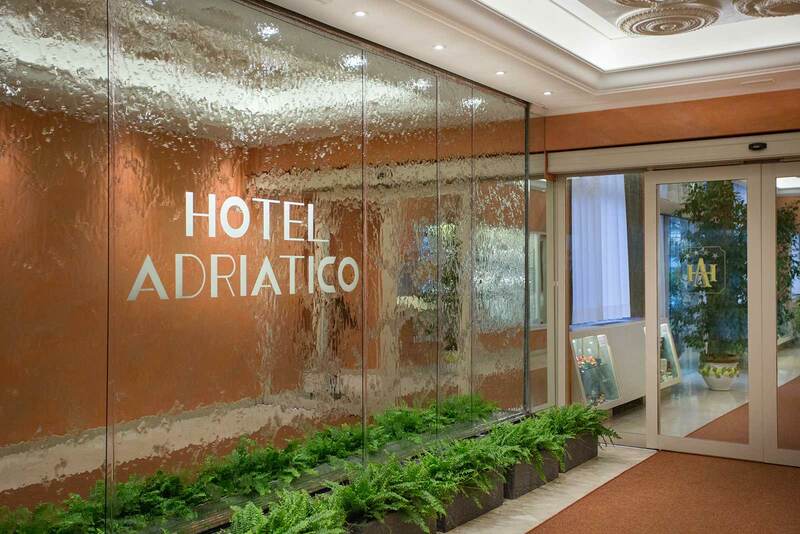 The beauty of the Grand Hotel Adriatico is that it’s close to everything. They are actually just a five minute walk from the train station (Santa Maria Novella) so you’ll have no problem reaching the hotel and we’re no more than 15 minutes from the main sites and meeting locations of the city. They are only a 5 minute walk from the main station, Santa Maria Novella. Take the exit to the right of the station (with the platforms behind you), cross the street and take via Santa Caterina da Siena on the left. Continue straight and take via dell’Albero, then via Maso Fininguerra and you’ll be at the hotel. Florence’s airport (Amerigo Vespucci) is 6 km from the city center and the Grand Hotel Adriatico. To get to the hotel, take the Volainbus shuttle bus as far as the final stop, at the SITA bus station which is in Via Santa Caterina da Siena. From there turn right into via dell’Albero, continue along via Maso Fininguerra and you’ll be at the Grand Hotel Adriatico. If you decide to come to Florence by car, remember that the historic center and street parking are reserved for residents. The hotel is located inside the ZTL – the area of restricted traffic – which is controlled by video surveillance cameras. Once you have entered the zone, you can leave your car in the paid private parking lot or in another convenient parking lot in the area. IMPORTANT: YOU NEED TO TELL THE HOTEL YOUR REGISTRATION NUMBER AT RECEPTION RIGHT AWAY, so that they can register your car’s number with the authorities to let you access the ZTL video-surveilled area. From the NORTH: take the Scandicci exit and merge onto the Florence-Pisa-Livorno expressway (FI-PI-LI) towards Florence (Firenze). Once in the city follow the signs to the center (centro), continuing straight. Follow the tram line, and at the end of the street turn right onto via del Pignoncino until you reach the traffic light. Turn left here and take via Bronzino to Piazza Taddeo Gaddi, then follow the traffic circle and cross the Arno river at Ponte alla Vittoria. At the end of the bridge, turn right immediately onto the riverfront (Lungarno) before the underpass, continue for about 200 meters and turn left before the video surveillance camera and ZTL sign. Continue to the Porta al Prato (on your left) and turn right into via del Prato. Follow this to the end where you will find a small traffic circle, drive into via Santa Lucia, passing the ZTL sign, turn right at the first street (via Palazzuolo), then turn right again into via Maso Finiguerra where you’ll find, after a few meters on your right, the Grand Hotel Adriatico. If you arrive from via Pisana, go through Porta di San Frediano, turn right into via Sant’Onofrio. Cross the river at Ponte Vespucci, continue straight at the traffic light and take your second left (via Borgognissanti). Continue along here until you reach the small traffic, turn right into via Santa Lucia passing the ZTL sign. Turn right at the first street (via Palazzuolo), then turn right again into via Maso Finiguerra where you’ll find, after a few meters on your right, the Grand Hotel Adriatico. If you decide to come to Florence by car, remember that the historic center and street parking are reserved for residents. The hotel is located inside the ZTL – the area of restricted traffic – which is controlled by video surveillance cameras. Once you have entered the zone, you can leave your car in our paid private parking lot or in another convenient parking lot in the area. IMPORTANT: YOU NEED TO TELL US YOUR REGISTRATION NUMBER AT RECEPTION RIGHT AWAY, so we can register your car’s number with the authorities to let you access the ZTL video-surveilled area. To avoid driving through the city, we suggest that you exit the A1 at Firenze Scandicci and follow the directions given above. If you prefer to get here from the Firenze Sud exit follow these directions. After the toll booth, go straight over the junction, turn left at the traffic light and enter Lungarno Aldo Moro. Continue straight, pass 3 traffic lights until the road makes you turn right into Viale Amendola. Follow the ring road as far as Porta al Prato and continue until Ponte alla Vittoria. Cross this, take the traffic circle and cross it again. At the end of the bridge, immediately turn right onto the riverfront (Lungarno) before the underpass, continue for about 200 meters and turn left before the ZTL sign. Continue straight up to Porta al Prato and turn right into Via del Prato, go all the way to the end where you will find a small traffic circle, take this and enter via Santa Lucia, passing under the ZTL sign, turn right at the first street (via Palazzuolo ), then turn again to the first right into Via Maso Finiguerra, and after a few meters you will find the Grand Hotel Adriatico on your right.